Most of the refugees here are from eastern Bosnia, the areas closest to Serbia that were the first to be overrun and cleansed during April and May 1992. Perhaps the numb expressions on these children's faces can explain what they experienced better than words can. All we know is that they watched as their parents were killed. 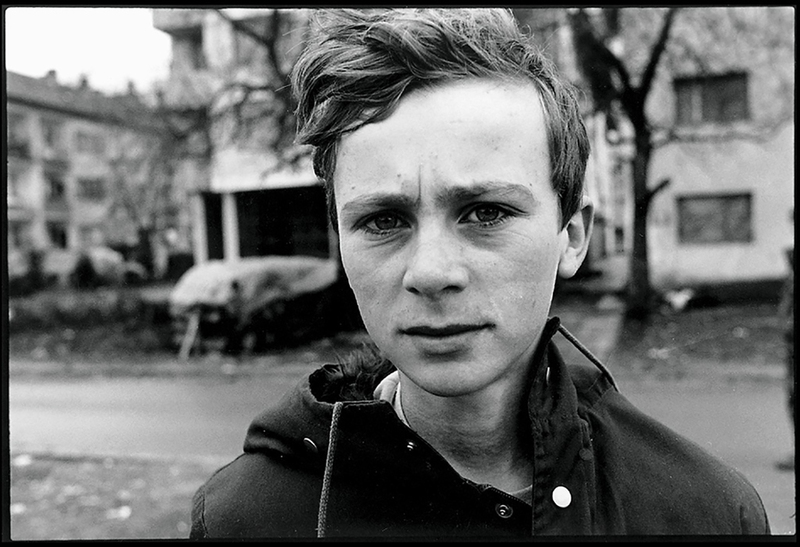 During three trips to Bosnia between 1995 and 1997, Glenn Ruga, Frank Ward, and Barbara Ayotte recorded the stories of people in Bosnia who have survived ethnic cleansing and genocide. 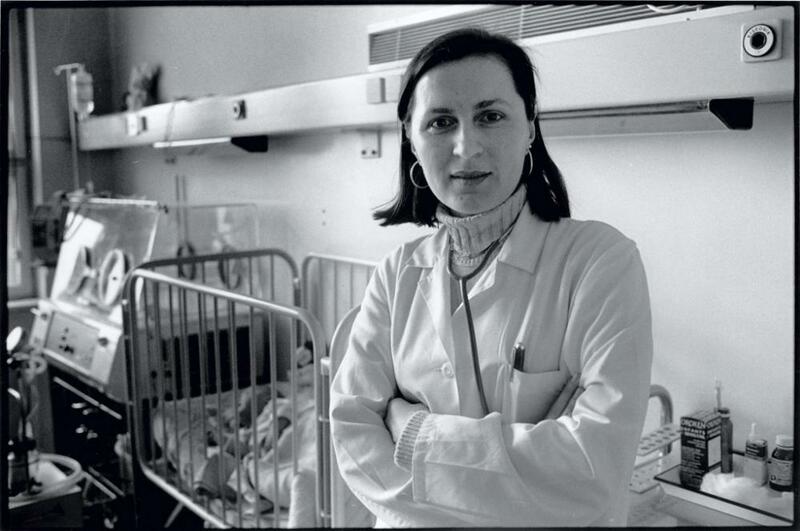 As they rebuilt their lives, refugees, professionals, and government officials talk about their past experiences and their hopes for a united and multi-ethnic Bosnia. Most of the refugees here are from eastern Bosnia, the areas closest to Serbia that were the first to be overrun and cleansed during April and May 1992. Perhaps the numb expressions on these children's faces can explain what they experienced better than words can. All we know is that they watched as their parents were killed. 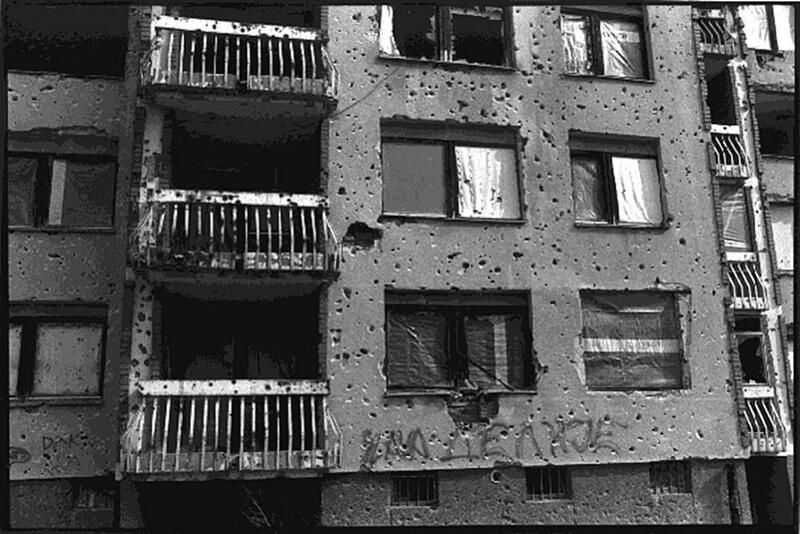 No building in Sarajevo represents the magnitude of destruction more than the twin Unis Towers in Sarajevo. 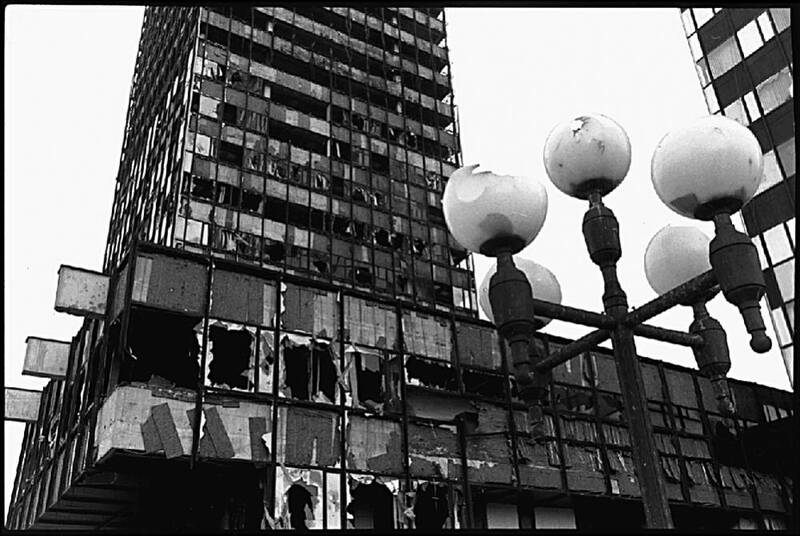 Home to the largest commercial enterprise in Bosnia, it was reduced to a skeleton of twisted steel and broken glass. 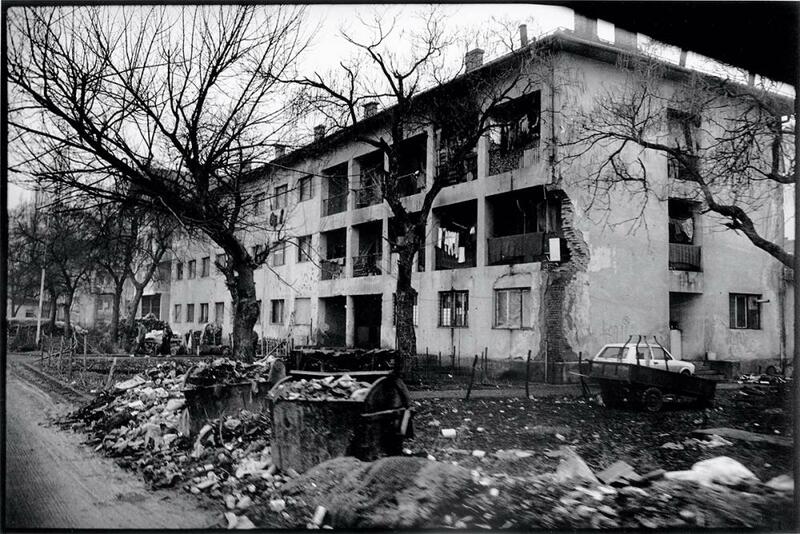 Adjacent to but much taller than the Holiday Inn in New Sarajevo, the Unis Towers were a clear shot for Serb snipers and artillery men in the hills across the Miljacka River and in neighboring Grbavica, a Serb- controlled ghetto. Before the war, this building was a hotel owned by the Famos Company, a factory producing parts for Mercedes-Benz. 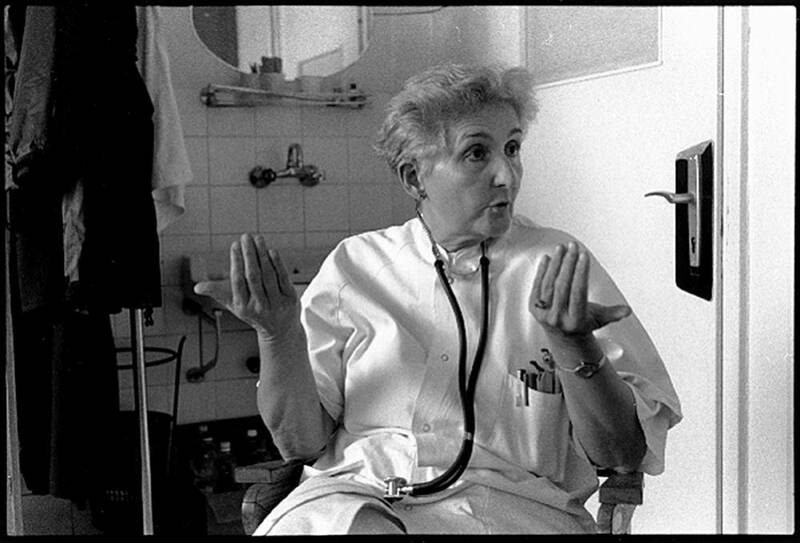 Now it is a collective center for refugees, mostly from eastern Bosnia. From three to seven people live in each small hotel room, doing all of their cooking, eating, and sleeping together there.Hrasnica, at the base of Mt. 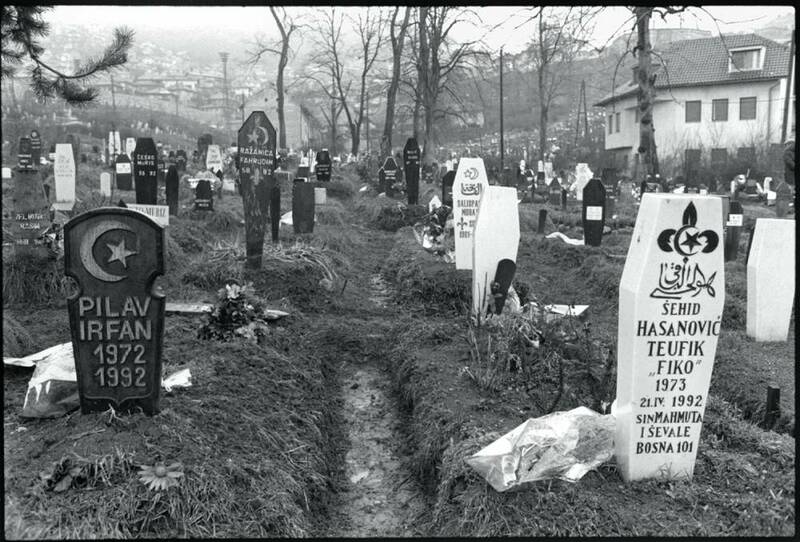 Igman and close to Serb-held areas, was never safe from shelling, yet it was a sanctuary for people fleeing the worst zones of the war. The National Library in Sarajevo is one of the most well-known buildings in Sarajevo. 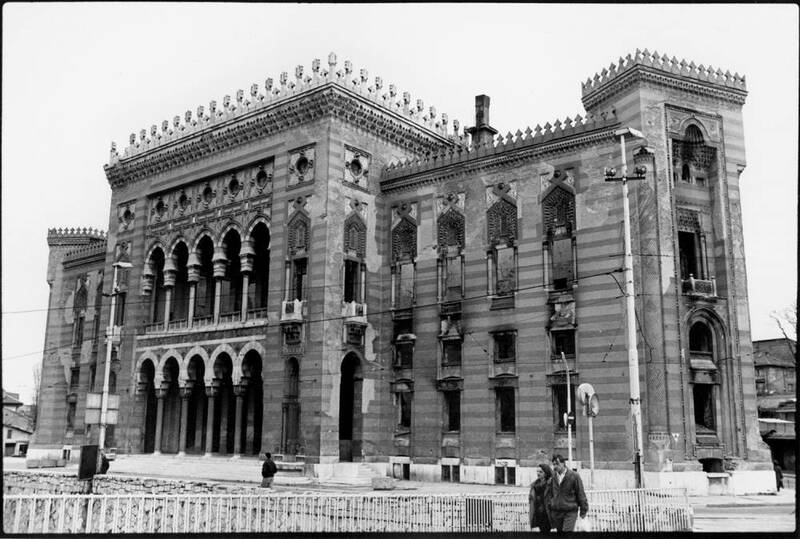 Built by the Austro-Hungarian administration in 1896 in a Moorish Revival style, it has been used as the seat of the Austro-Hungarian administration, the Bosnian parliament building, the Sarajevo Town Hall, and finally the National and University Library.The building was an easy target and massively assaulted by incendiary bombs in August 1992. While the building was awash in flames, some brave librarians and residents of Sarajevo attempted to save what they could, but most of the contents were quickly destroyed in a tremendous conflagration. 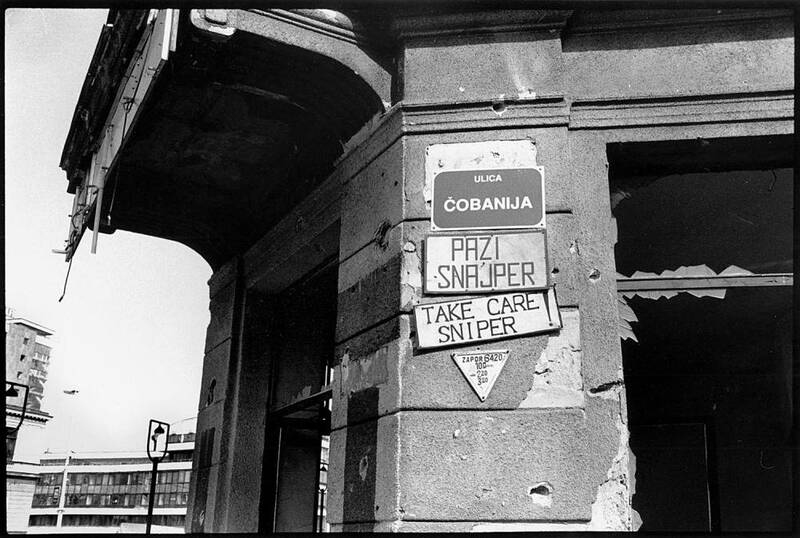 A common sign in Sarajevo during the war. Apartment building in Dobrinja, built in 1986 to house athletes during the 1986 Winter Olympics in Sarajevo.